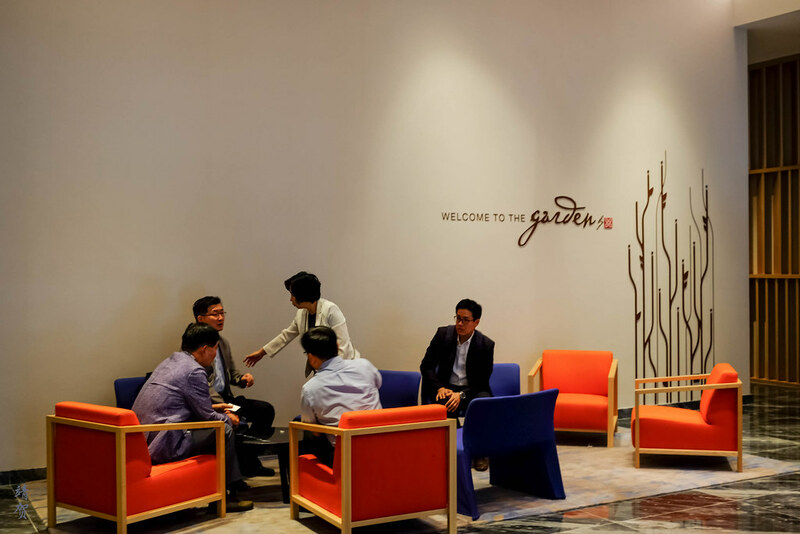 For my second stay in Singapore, I picked the Hilton Garden Inn which would also be my first encounter with this brand. Marketed at a lower price point in general, the Hilton Garden Inn seems to be on par with Four Points in the Starwood portfolio. 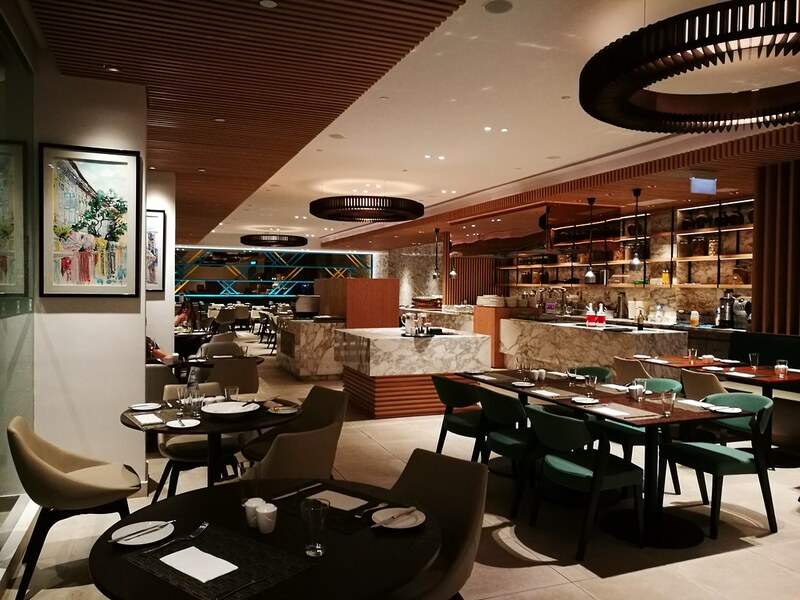 This property is the cheapest hotel in the Hilton group in Singapore and the room rate was around S$130++ per night and would be one of the cheapest in town for a decent mid-range hotel (3/4-star). 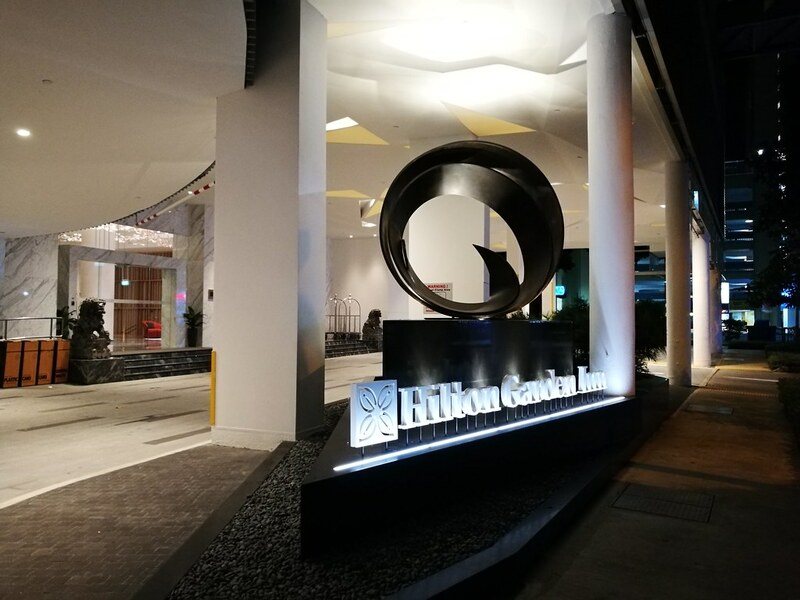 The Hilton Garden Inn is located right in the middle of the Little India neighbourhood, and within walking distance to the Little India MRT station which connects to the blue line in the city. 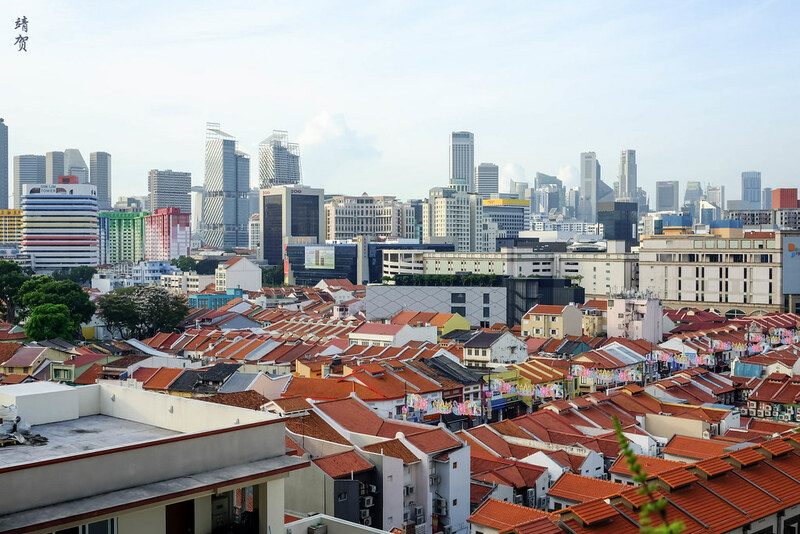 While the Little India neighbourhood can be a great place to search for cheap food and 24-hour shopping, the place can be quite rowdy in the weekends when the large groups of foreign guest workers congregate and gather. Otherwise the hotel has a porch and drop-off area when guests arrive by taxi and first impressions of the hotel are great. 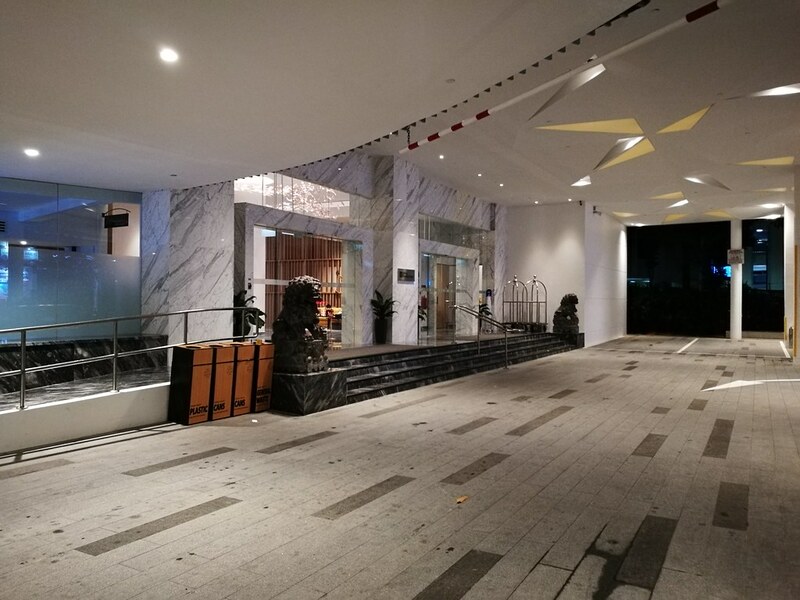 Even though the hotel is in Little India, there are Chinese stone lions by the entrance, which I attribute to this hotel being a Chinese-owned business. Inside the lobby is spacious and well decorated with wooden planks and simple accents on a white background. 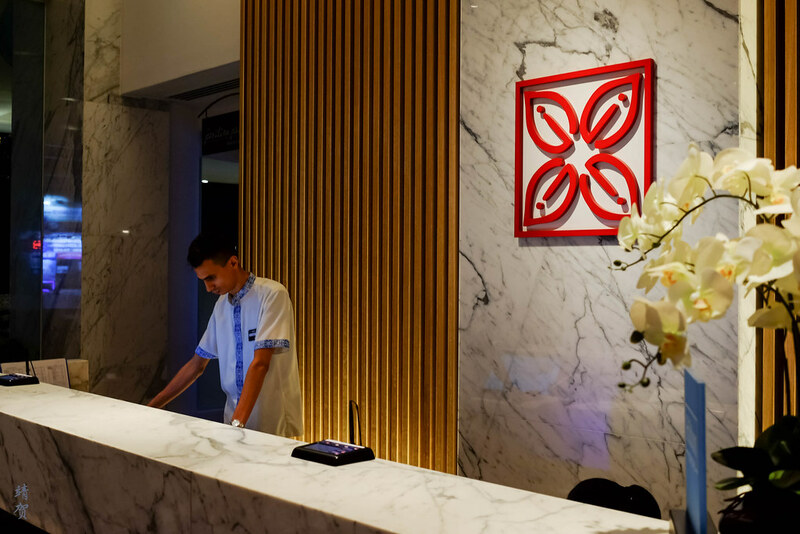 The lobby exudes a boutique hotel ambience in a good way and makes guests comfortable on arrival. There are plenty of sofas for guests to wait and lounge in the lobby while the reception desk is located to the left of the lobby upon entering. The staff manning the reception are dressed casually like in a resort and upon presenting my credentials, they welcomed me to stay at the hotel. They checked the number of nights I was staying and quickly presented me with a room key without indicating any upgrades for Hilton Diamond members. It was more like a standard check-in though I appreciated the efficiency of check-in. Beside the reception desk, there was a couple of workstations that guests could use to go online or print some documents. There is also a shop that sells items that would normally be found in a hotel room minibar like small bottles of liquor, instant cup noodles, soft drinks and other daily necessities. This retail store is in line with what is offered in Hyatt Place properties, aloft and Element hotels that I have stayed in before. In fact from the absence of a bell desk in the lobby to the lack of offer with assistance from the front desk clearly indicates the limited service nature of this property and it is reflected in the daily room rates. 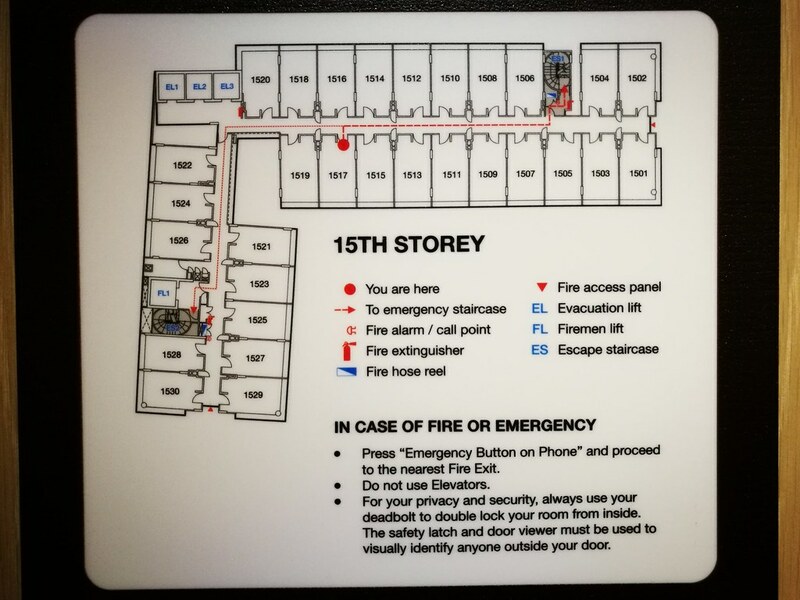 As I had reserved a standard room, that was the room I have gotten and from the looks of it from the floor plan, most of the rooms are of a similar size with the view being the major difference. Though I was only staying for just one night and arriving at night, there was not much of a view anyway. The rooms here are small though and it is clear from the entry into the room with the closet taking up the bulk of the foyer space. It was also the first time I saw the fridge located higher up in the cabinet as opposed to being on the floor. 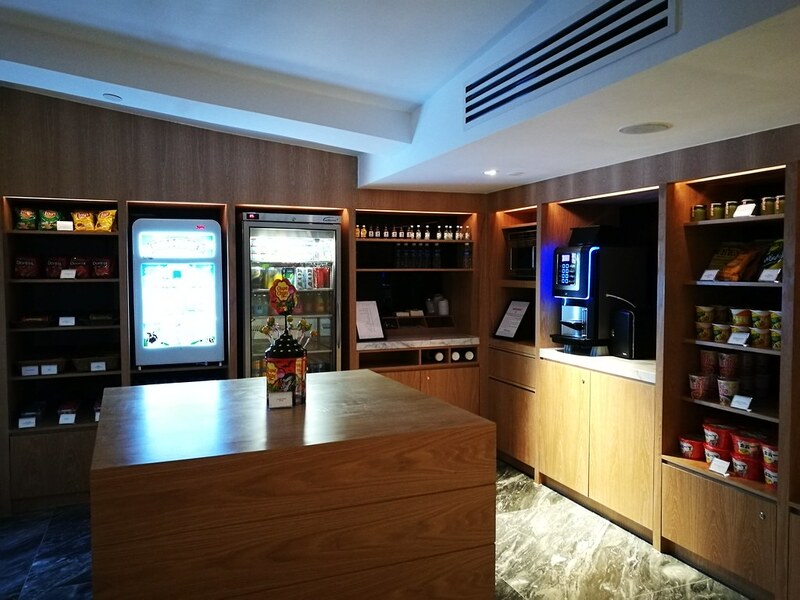 The fridge was empty since guests are expected to buy what they need at the lobby, thus reducing the need for housekeeping to stock up the fridges. There was a basic electric kettle, some tea bags and instant coffee in the room along with 2 bottles of water. Aside from those the minibar space was empty providing an area to store any snacks you might have brought along for the trip. 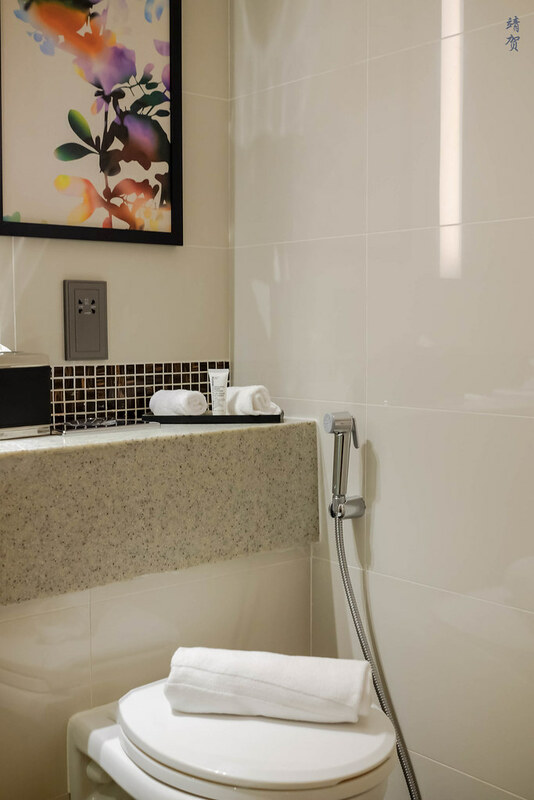 On the right side of the foyer is the bathroom and the premium for space is again visible here with a small countertop around the sink which would make it a squeeze for 2 persons to place their toiletries. 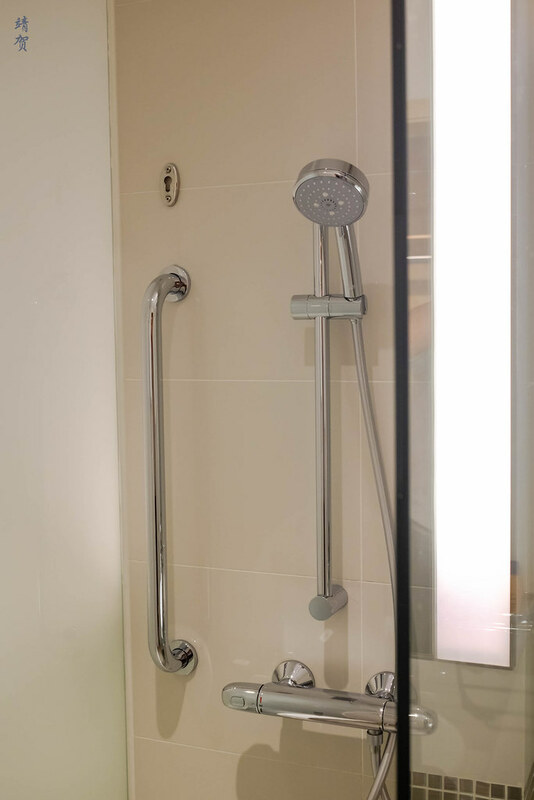 The small footprint of the bathroom meant it was not possible to fit a bathtub and thus there was a glass partition for the shower area which only has a handheld shower head. The good thing was the basic setup was clean and bright with good water pressure and hot water available. Towards the corner there is the toilet with a small handheld spray on the side. This is a basic toilet setup found in many Asian hotels as it acts like a manual bidet for guests. It is also a cheaper option to install compared to a full automatic toilet with an in-built bidet. 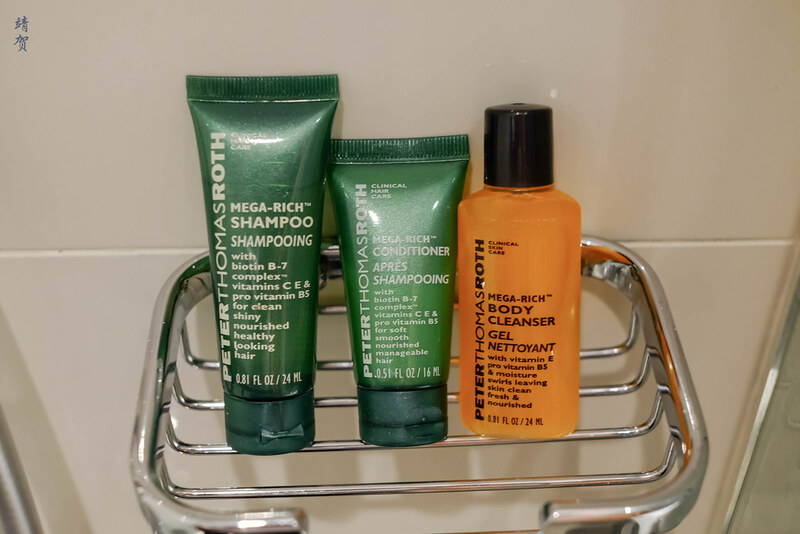 Bath amenities here are standard by Peter Thomas Roth and similar to Hilton properties, so that was surprising as I thought they might have went with a cheaper generic brand or have a mounted shampoo and body wash like those found in Four Points and other limited service hotel chains. 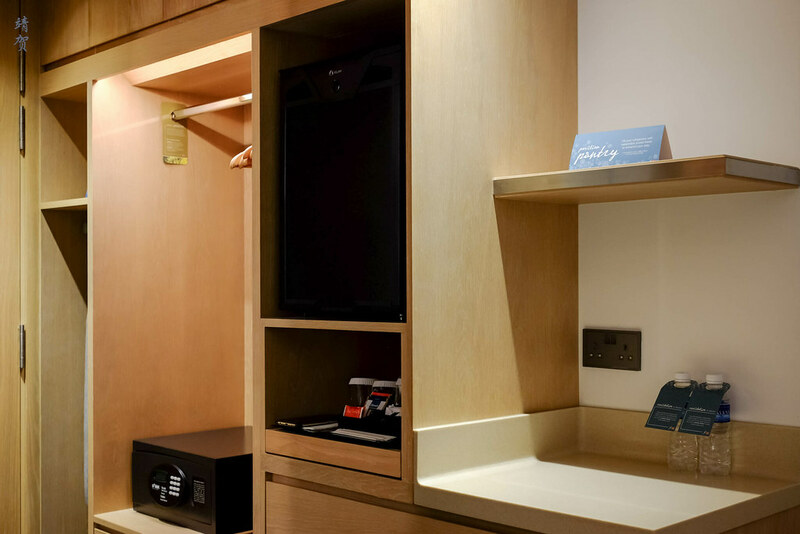 Heading back to the bedroom, guests can find a wall mounted flatscreen TV with no console to save space. Directly by the window was a long cushion over the ledge creating space to sit with a pillow in the corner. An elliptical desk was placed in the other end with a comfortable swivel work chair. A comfortable King size bed takes up most of the space in the room. While the room was small, at least the modern Ikea-ish furniture made full use of the space and it felt comfortable for short stays. 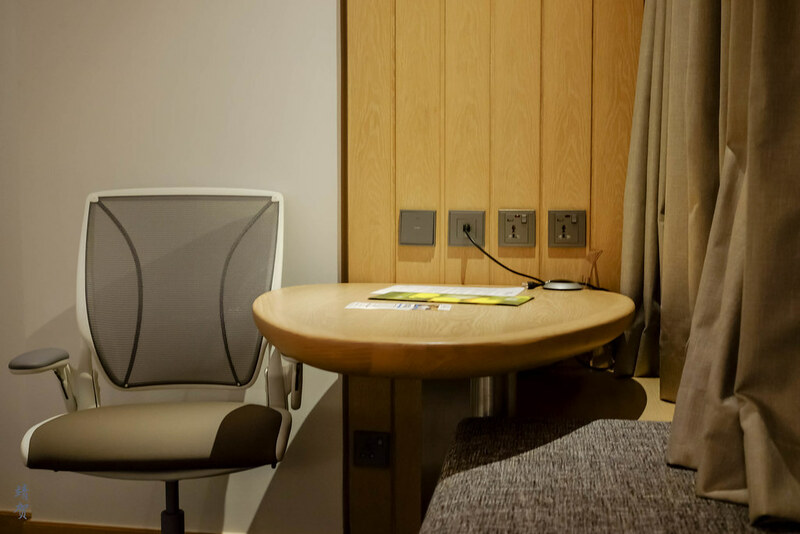 The new rooms had plenty of power outlets to plug in and charge your gadgets and they were easily accessible by the work desk or by the bed side. Light switches were easily found and easy to reach when you are working or going to sleep by the bedside too. Thus as a whole the room was functional even if it was small. With these kind of rooms, I honestly feel they were built for solo travellers and couples who do not need much space on a short trip. 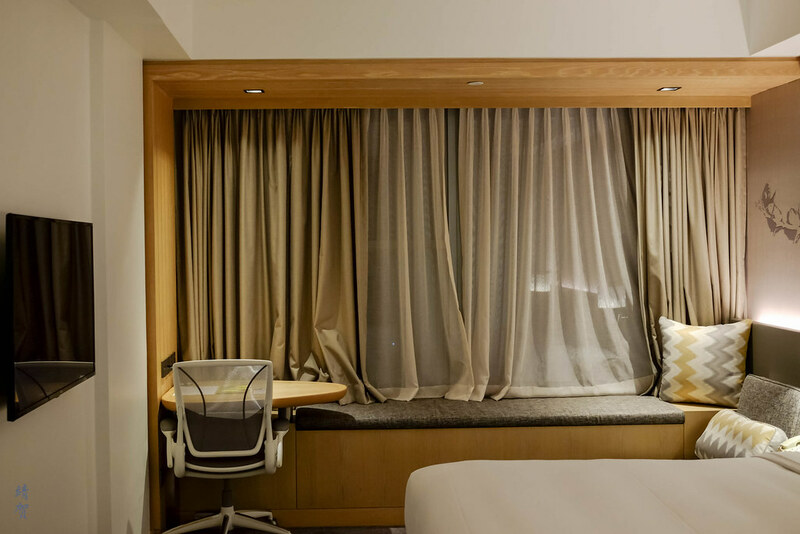 This is because most of the furnishings are meant for one – from the work chair to the pillow by the ledge and the lone chair beside the bed. Even the work desk was too small to fit 2 laptops together which totally makes it unsuitable for 2 colleagues to share a room on a work trip. The next morning I checked out the view from my room and it seems to have the Old Racecourse view which is nothing spectacular since it is just a green field. 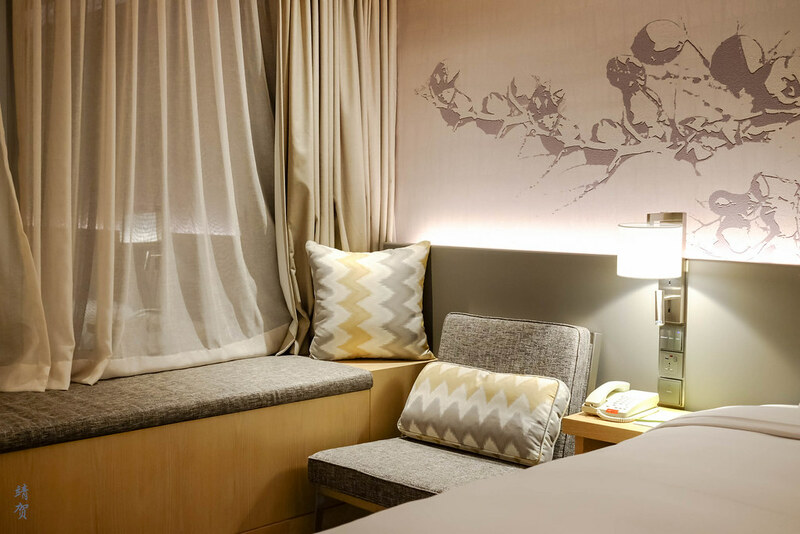 Perhaps it might appeal to guests staying in a city centre hotel to get some view of greenery. Though I thought the city view might be the better one for guests staying here. As far as limited service hotels go, the facilities here are decent. 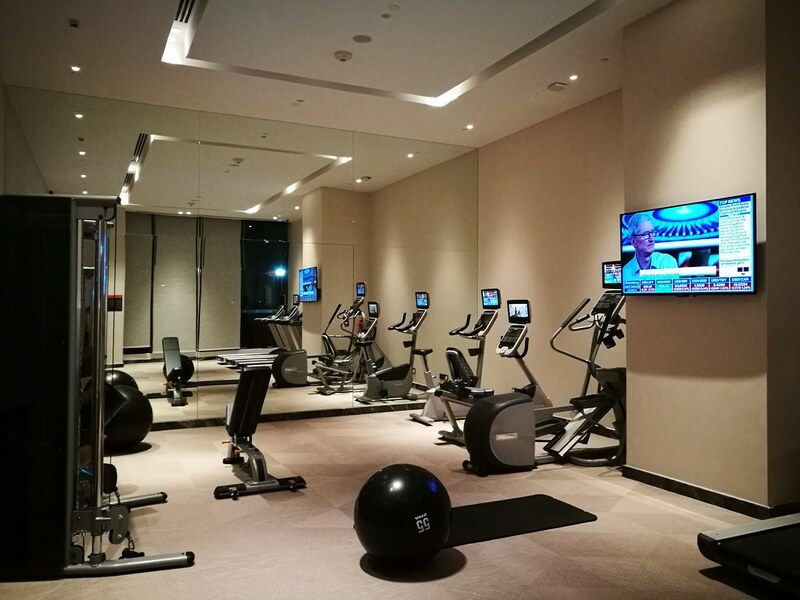 On the ground floor by the lobby, aside from the pantry store, lounge space and the workstations, there was a fitness centre with treadmills, and several cycling stations. Generally it was a basic place to do some daily routine exercise. 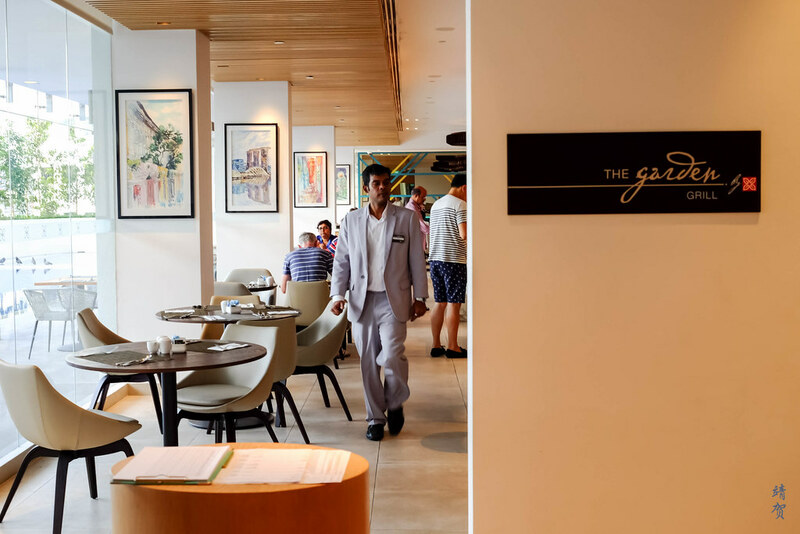 The main facilities were located on the 8th floor where guests could choose to have breakfast in the Garden Grill restaurant. This is an all-day restaurant and the only one inside the hotel. With an evening arrival and morning check out, I did not have meals here. Though I do recommend checking out the great Indian cuisine around the hotel instead of dining inside the hotel. 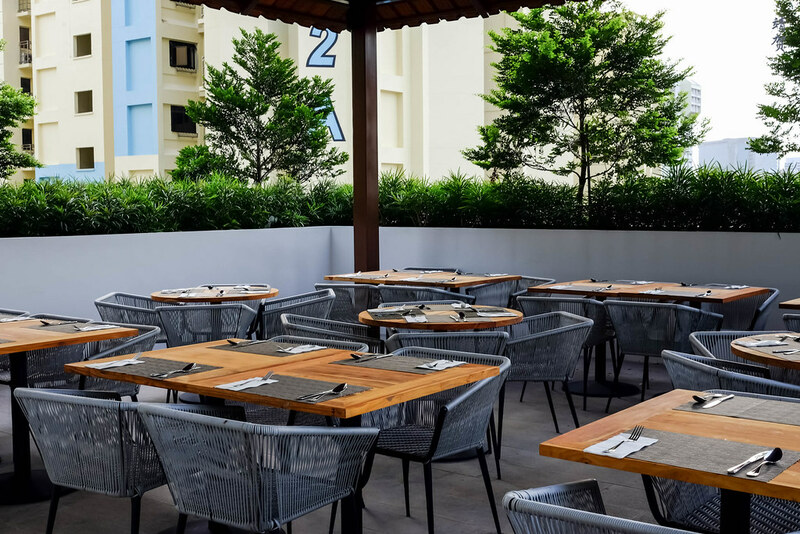 Aside from dining in air-conditioned comfort, there was a covered patio for outdoor dining as the restaurant was located beside the swimming pool. The terrace on the 8th floor is a great feature in this hotel and there seems to be several families making full use of the pool over the weekend night I was staying here. 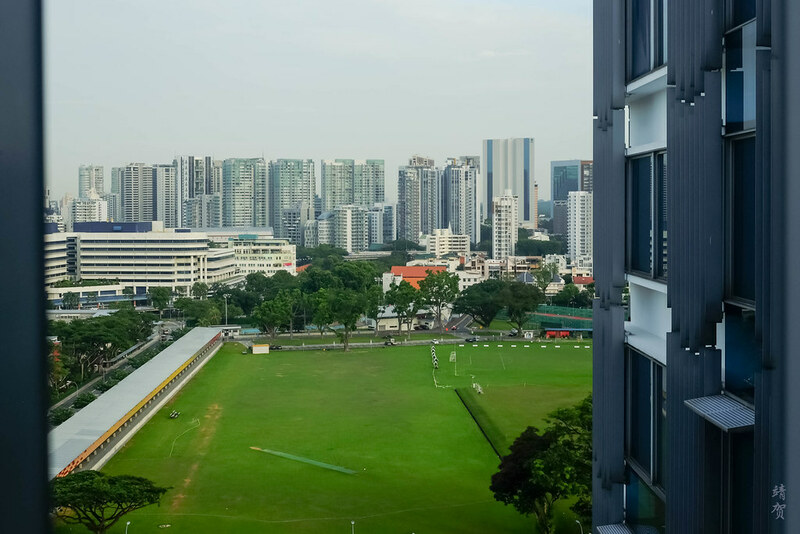 It is not hard to see why since the outdoor terrace has a great unblocked view of the city with the row of shophouses in the front and the downtown skyscrapers at the back. When it comes to rating this hotel, I admit it probably would not go to any ‘Top 10 Hotels’ list because it is a basic mid-range tourist hotel at a decent price. In fact it is probably one of the cheapest hotel stays in Singapore I had for quite some time aside from those I redeemed points for. 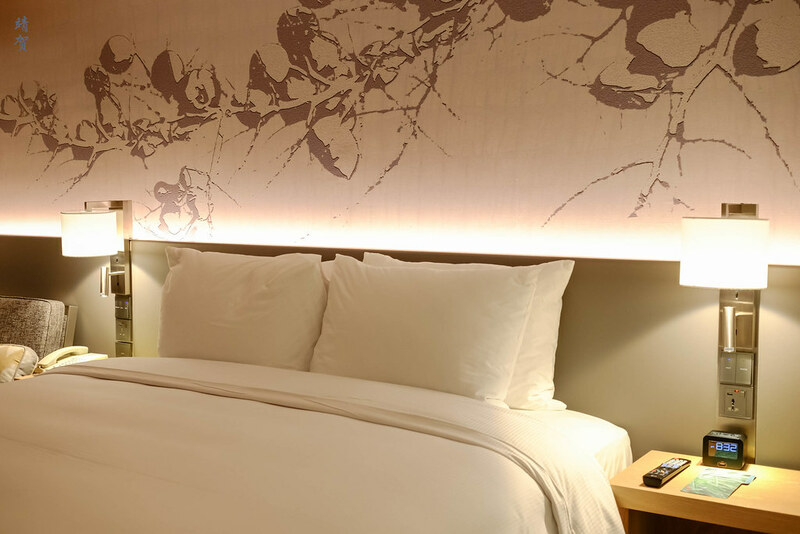 Comparing it to the cheapest Starwood Preferred Guest hotel which is the Wanderlust located in the same neighbourhood and at around the same price, the Hilton Garden Inn would probably be more practical for most guests. 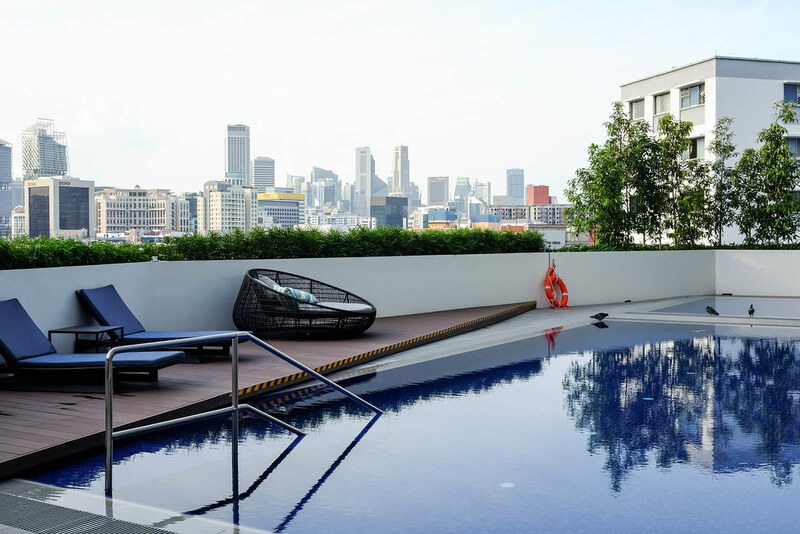 For short stays in Singapore on a budget, I can definitely recommend this hotel, but I would steer clear of this property if you want a quiet and romantic place to stay at.